Replacement Glass Beads (Sand) for your Pit & Pendulum can be purchased from Grand Illusions. 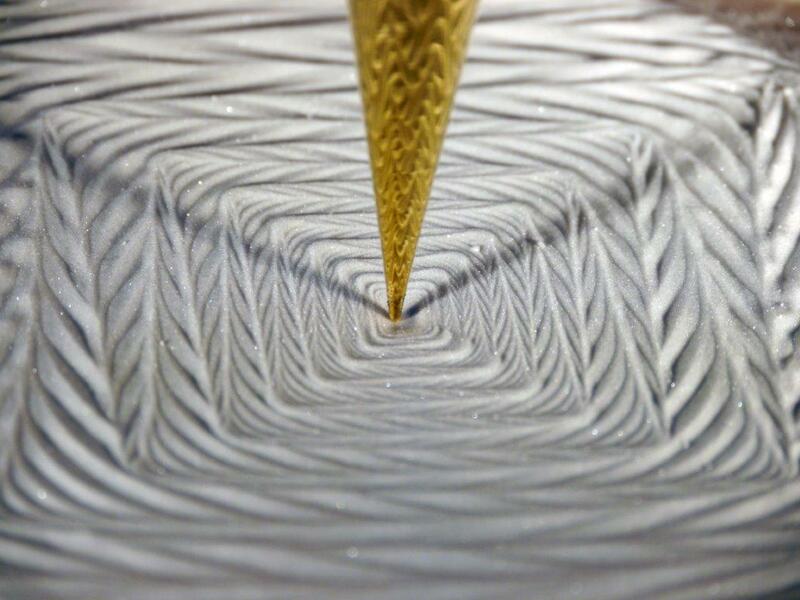 Our premium sand is designed to minimize friction and allow your pendulum to operate at an optimal level. 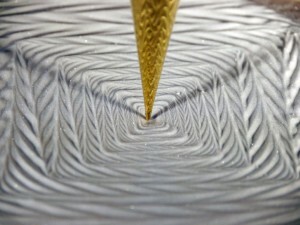 The extremely fine granules allow the pendulum to oscillate longer and continue to draw unique, ever changing geometric patterns. 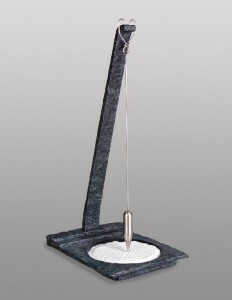 Our slate/stone finish pendulums are made of a remarkable acrylic/resin finish to look exactly like Pennsylvania grey slate. They even approximate the weight of real slate. All metal parts are chrome plated. 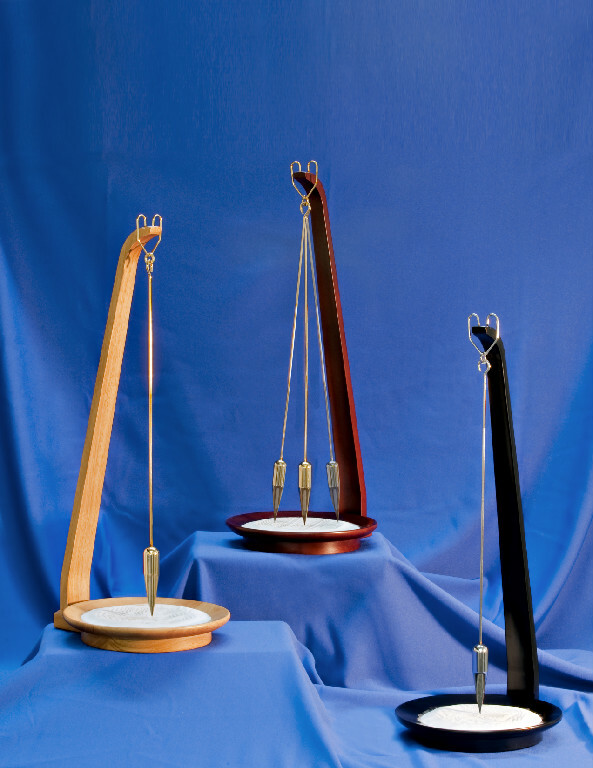 Our newly-designed large wood pit and pendulums are available in a natural wood finish pictured with gold plated metal parts, a black lacquer finish with chrome plated metal parts and a cherry finish with gold plated metal parts. Metal parts may be interchanged, ea. Cherry & Chrome, Black & Gold, etc. at no additional cost. Contact us today to order your Pit Pendulum!